Decorating the interior of a house can take a lot of work and energy, but often we become so wrapped up with the inside of a house that we forget about the outside. The right landscaping details such as a fence can make the outside of your home appear just as stylish and inviting as the inside. Before investing in a new fence for your house make sure you are asking yourself the right questions to make the best decision. What is my reason for getting a fence? Are you looking to add extra privacy and security to your home? Consider the height and picket width to add the needed protection you are looking for. Having slats close together will screen out virtually everything and the higher the fence the harder it is to get around. What material do I want my fence made from? There are many alternatives to the traditional white picket fence. To allow maximum light but high security many people have used glass to line their properties. Maintenance should also be considered when choosing the materials. A chain fence would require little to no maintenance but a wooden one may need some repainting every so often. Think about the budget you have for this fence. Masonry and stone fences are classic and durable but may take years to pay off. Will this fence work for my pets? If you are an animal owner, think about what you need to alter to give them the best protection. Do they tend to dig? Make sure the fence goes at least six inches into the ground. Have dogs that like to jump? A three to four foot fence would be enough to keep a small dog while a larger dog would need something bigger. Have you fully checked your property? Make sure you know exactly where your property line is. Also check up on the building codes in your community and make sure there are no underground utility lines in the way. Adding a fence to your home can improve the functionality of your outdoor space and your house’s curb appeal. 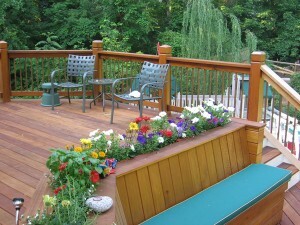 With the right research and concerns in mind picking the appropriate fence for your needs can be easy and stress free.